Rush, NY (March 19, 2019) – Investigators are currently looking for a tractor-trailer that they believe crashed into six vehicles on Tuesday morning, March 19th. According to authorities, the incident happened in the northbound lanes of Interstate 390 around 7:15 a.m., in the vicinity of West Henrietta Road. Deputies from both the Monroe County and Livingston County Sheriff’s Offices responded to the accident site, where investigators stated that a tractor-trailer lost control for unknown reasons. The truck with a white box trailer was reported to have struck six vehicles while traveling along the interstate and continued without stopping. Emergency medical crews were called to the scene, where one of the drivers who had been hit had to be taken to Strong Memorial Hospital with at least minor injuries. Four of the vehicles that were struck had to be towed from the site. No further details regarding the parties involved have been released at this time. First and foremost, our sincere sympathies are wholeheartedly extended to the injured victim of this accident. 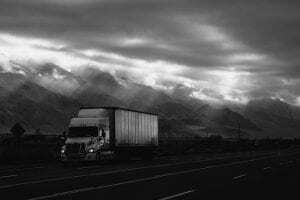 Unfortunately, truck accidents in New York are often seriously injurious or fatal, especially those which occur on a busy road such as an interstate. While it can be tremendously difficult, it is important for victims to know that they may likely have substantial rights at this time. At Hach & Rose, we understand that there is nearly nothing as overwhelming as dealing with a sudden injury. As members of the community, our compassionate New York accident attorneys are here for you 24/7 to answer any questions you may have. If you have been hurt in a New York truck accident due to the actions of another party, please don’t hesitate to call 212-779-0057 today.